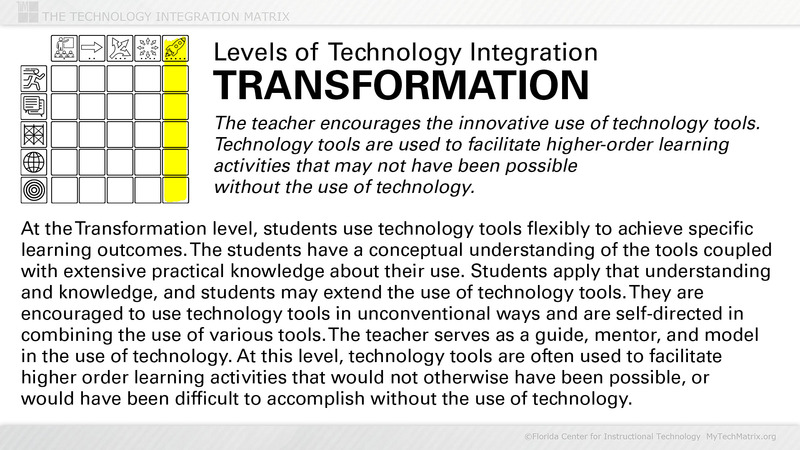 Presentation slide with text describing the Transformation level of technology integration. 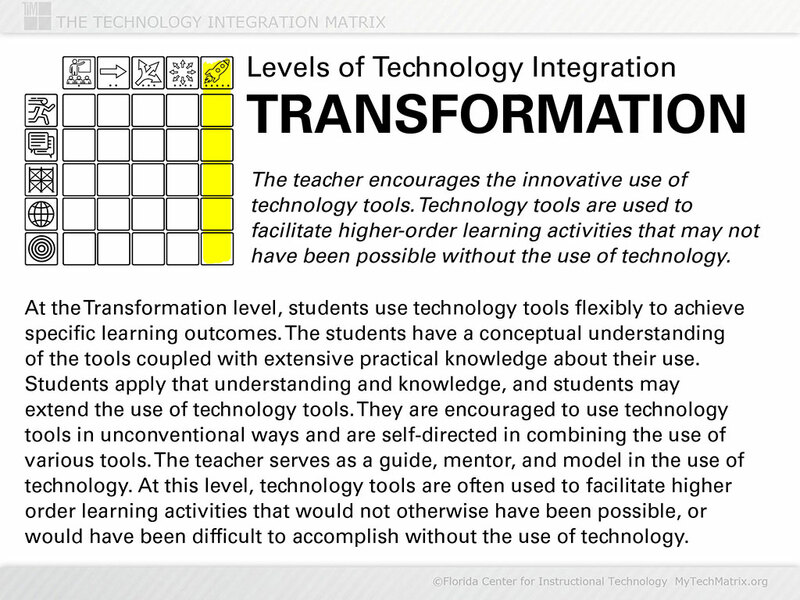 Transformation is the highest of five levels of technology integration identified in the Technology Integration Matrix. At the Transformation level, the teacher encourages the innovative use of technology tools to facilitate higher-order learning activities that may not have been possible without the use of technology.